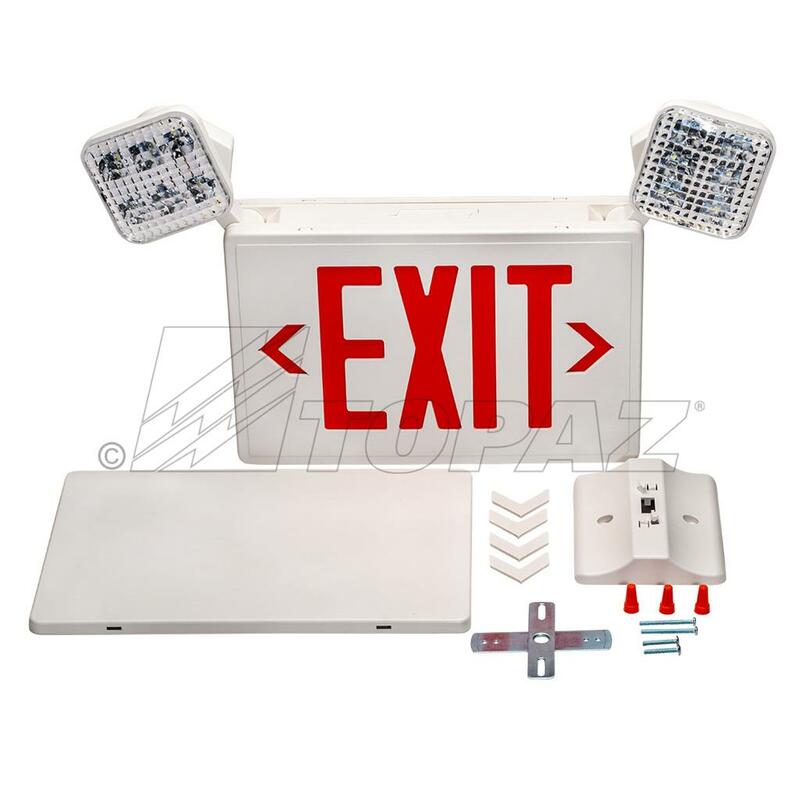 Topaz’s emergency exit and lighting combo unit offers safety and security in an easy to install and compact design. 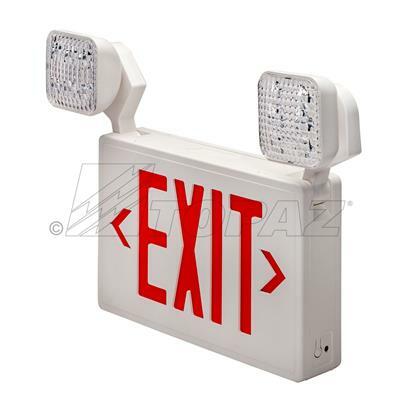 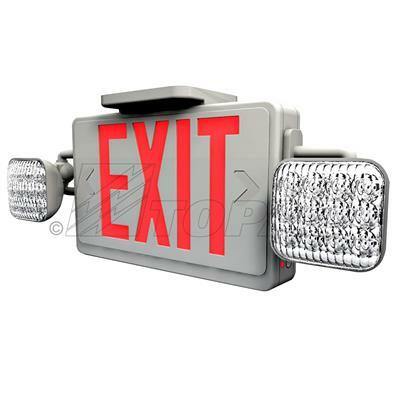 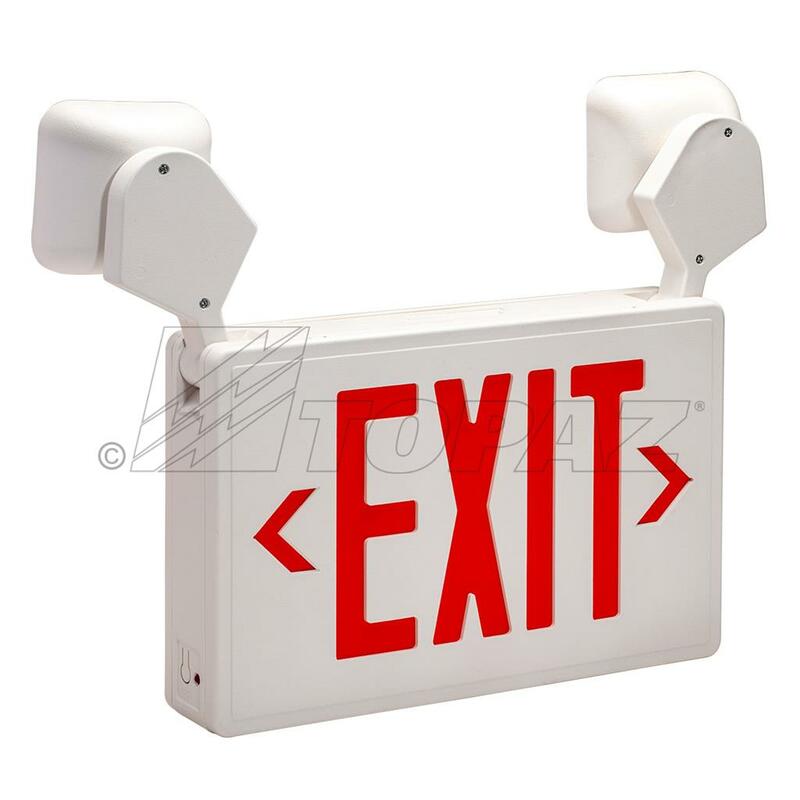 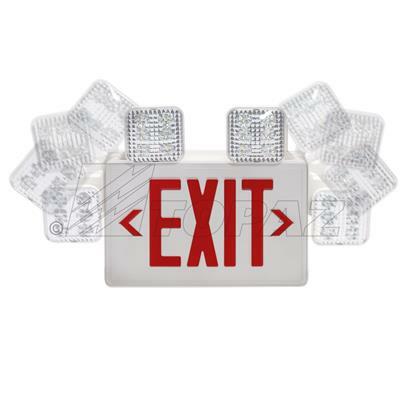 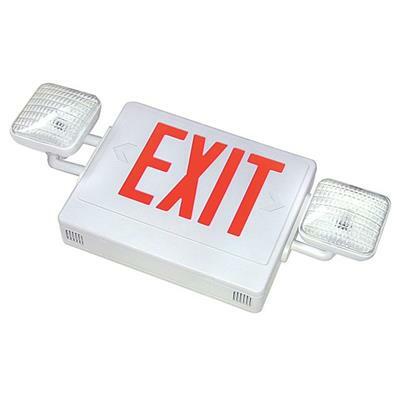 This EXIT sign is both single and double faced and has two fully adjustable LED lamp heads for maximum lighting control, and removeable knockout chevron directional arrows. 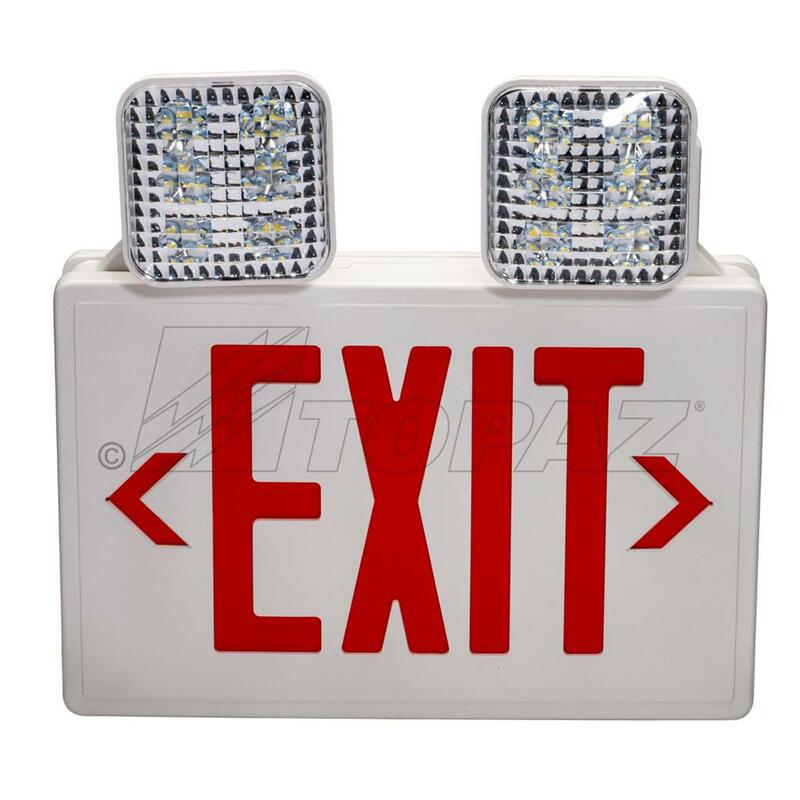 Emergency units are OSHA compliant and contain long lasting Ni-Cad battery backup for 90 minutes of essential illumination during a power outage.